I have no further information, but thought I would share. What do you think? 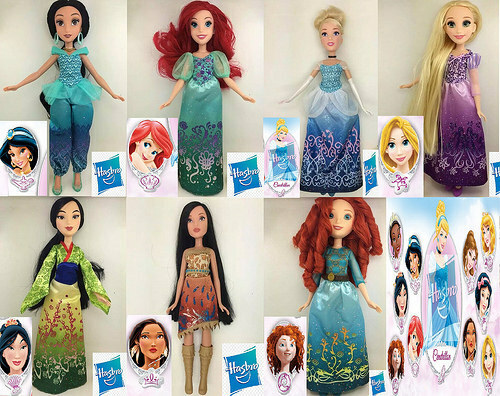 Do you like the new look of the Disney Princess dolls? Or do you like the Mattel version better? Hey everyone! I finally got my hands on the Astranova doll and playset this weekend. Target has her on sale for about $37 and then the Cartwheel App has a 50% off coupon for her. That brought her down to $18-something. Who could say no to that?! I decided to do another video review of her, but also took some stills. Let me know if you guys like these video reviews, if you think something needs to change about them, or if you want me to go back to doing everything the old way. Or just comment and let me know that you’re still there. I know that I’ve been gone for awhile because of the move, so I’m wondering if you’re all still out there?